Remember, kids, it's illegal to light a match without wearing clothes. That's right, always make sure to shade your lamps before use. And make sure that big campfire has a nice jacket on top it to keep it warm.... and for more fire. But but but,...... but whyyyyyy? 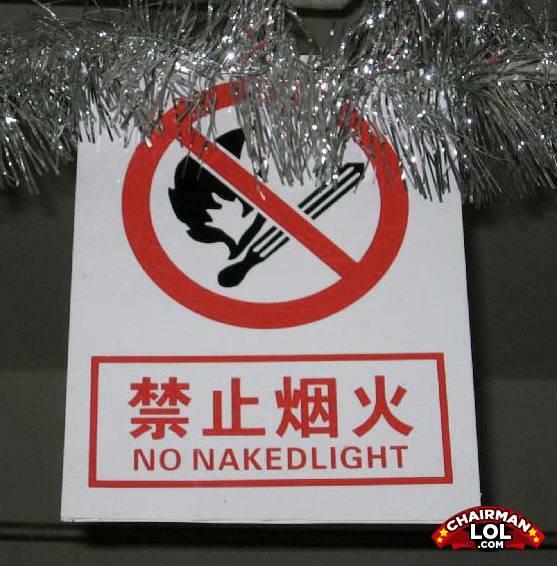 A naked light is a light source that isn't covered in glass like an incandescent bulb. There's nothing wrong with this sign except they combined the two words instead of separating them.